Is Russia Ready for Netcentric Warfare? Dmitriy Litovkin addressed this recently in Izvestiya. He defines netcentric war as generals in the Arbat controlling not only armies but individual soldiers in real time via a military Internet. He calls the U.S. concept as gathering all forces into one information space and turning the armed forces into one huge reconnaissance-strike system. Litovkin cites one Robert Nikolayev, who worked in an NII, probably the Voronezh Scientific-Research Institute of Communications, now known as OAO Sozvezdiye [Constellation]. Nikolayev worked on the Manevr [Maneuver] system from 1983, which was to unite all fire means in one communications system and tell field commanders what the staff wanted, where friendly forces and targets were, and what weapons to use on them. But Nikolayev indicates the Armed Forces Communications Directorate viewed the system as a threat and killed it. He says it was a good system and it supposedly helped the Warsaw Pact defeat Western forces in a NATO war game. In the early 1990s, Nikolayev worked on Polet-K for the VDV and it went through testing, but wasn’t fielded. Litovkin says a new tactical C2 system called Sozvezdiye [isn’t this the firm’s name] is in the works, but no one wants to talk about it since it’s a state secret. He describes it as an Internet-based computer network with secure email. Litovkin thinks buying Israeli UAVs or French ships will make Russia’s task harder since it surely won’t get SENIT-9 or SIC-21 that give Mistral its automated C3 capability. Russia will have to provide its own. Litovkin adds comments from Mikhail Barabanov. He says the USSR’s lag in electronics and computing equipment during the 1980s hurt the early efforts and then its collapse stopped the development of these sectors for a while. He thinks Russia will not only have to overcome the continuing lag in information systems, but also change its military organization, manning, and training to become netcentric. Rossiyskaya gazeta’s Sergey Ptichkin published a similar article not long ago. 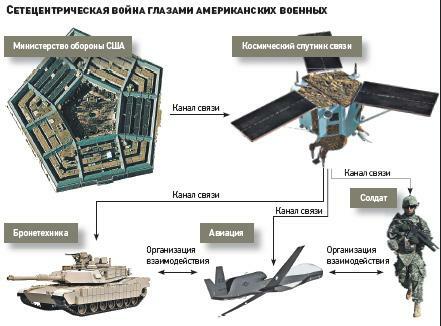 Also see this for more on Russian netcentric warfare efforts in the 2009 exercises. It covers the comms chief’s promises about individual soldier comms by 2011. The VDV chief of staff also talked about this for his troops in his year-ender. This entry was posted in Command and Control, Defense Industry, Force Modernization and tagged Manevr, Mikhail Barabanov, Polet-K, Robert Nikolayev, Sozvezdiye, VDV, Voronezh NII. Bookmark the permalink.